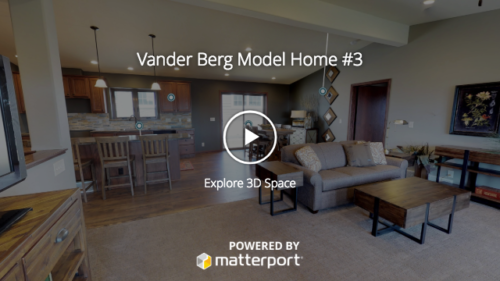 Welcome to Vander Berg Homes’ new virtual tour page! We are so excited to show you around these homes so you can see all they have to offer. If you click the “Play” button in the middle of the picture, the tour will take you around the home automatically. Feel free to pause the tour (bottom left of the video) if you want to look inside an area more extensively. Each room has several blue circles in it . Click on one of those blue circles to learn more about the specific features of a room. After clicking on a blue circle, you can resume the tour by pushing “Play,” or you can manually tour the home by dragging your mouse or clicking on the white circles on the floor to navigate through the home. Two of our model homes are customized from Stratford Homes’® floor plans (virtual tour #1 – Hamilton; virtual tour #3 – Wyoming II) and virtual tour #2 and virtual tour #4 are built fully customized. 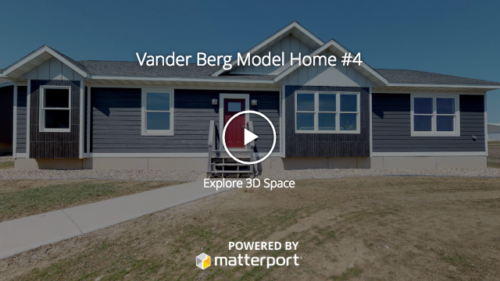 Vander Berg Homes works with Stratford Homes® to build modular homes that can be fully customized down to every last detail, including specific number of bedrooms, bathrooms or garages, ceiling height and finished living space or cabinet, trim and fixture colors. We currently have 67 floor plans where you can begin your design, and within those, you can add any features you’d like to make your dream house everything you’ve ever wanted it to be. Don’t live in Sioux Center? That’s perfectly fine – we serve a large region from northwest Iowa to southwest Minnesota, southeast South Dakota and northeast Nebraska. Our homes are fully customizable to fit everything you want in a dream house: Sunroom, four-seasons room, porch, open-concept floor plan, walk-in shower, walk-in closet, walk-in pantry, mudroom and number of bedrooms and living areas. Stop in and talk to our builders and designers today to see how you can get the home you’ve always dreamed of. 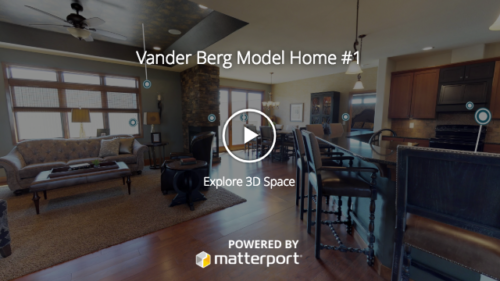 We also have a furniture store, Vander Berg Furniture and Flooring, where our designers will offer you free complimentary design services when you build with us. 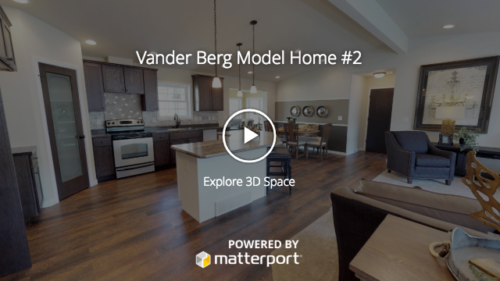 Vander Berg is your one stop to get all the furniture, flooring and countertops you need in your new, custom-built home. We can be as involved as you want us to be. Some of the items we offer is helping you choose paint colors, flooring options, furniture selection and layout, wall and window coverings and more. One-on-one personal assistance from one of our expert designers. Design planning tailored to your style, vision and budget. Exceptional brands to choose from, including Smith Brothers, Bassett, Southern Motion, Lexington, Tommy Bahama, Amish by Winesburg or Yutzy, Mohawk, Daltile, Dreamweaver, Syverson and Hunter Douglas. Maybe you just want some new inspiration to freshen up your home. Our model homes are decorated by those same expert designers and are perfect to gather new ideas from. Whether you’re looking for a new piece of furniture or a start-to-finish plan for your new home, the designers at Vander Berg Furniture and Flooring are ready to help. For more design inspiration, check out our blog over on Vander Berg Furniture and Flooring. Whatever your reason for walking through, we hope you stop by and give our homes a look.